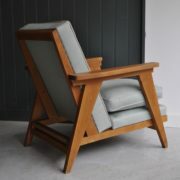 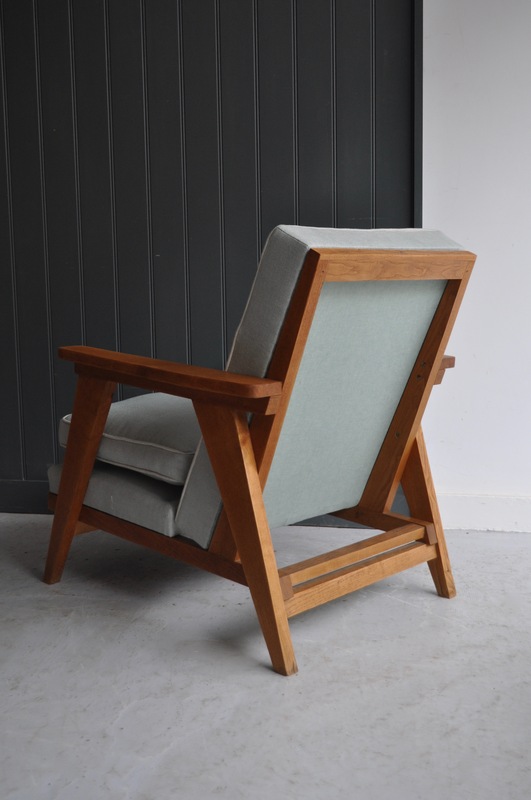 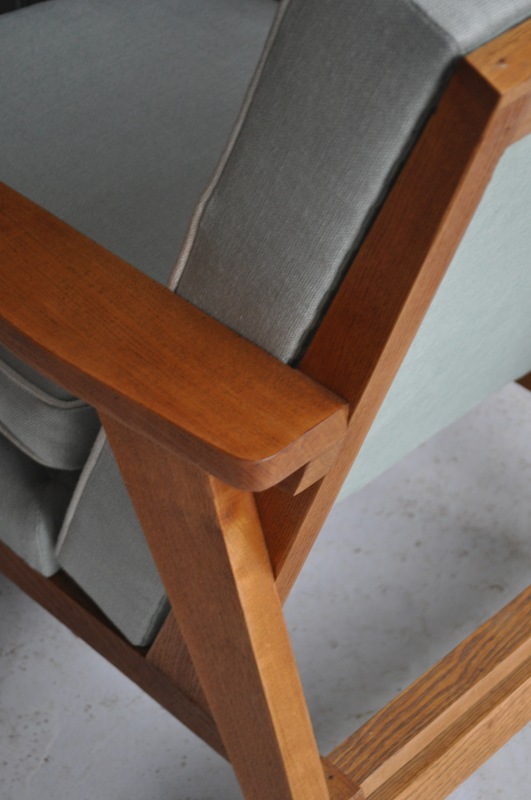 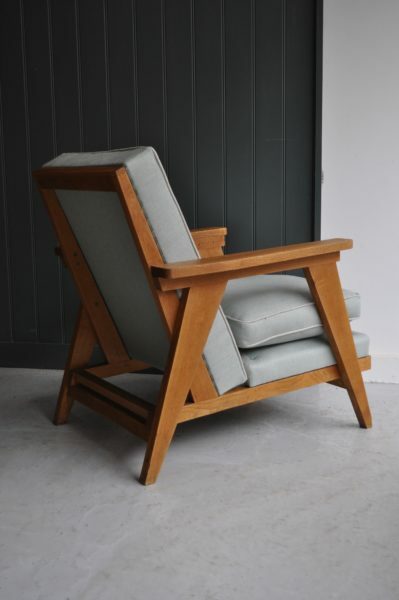 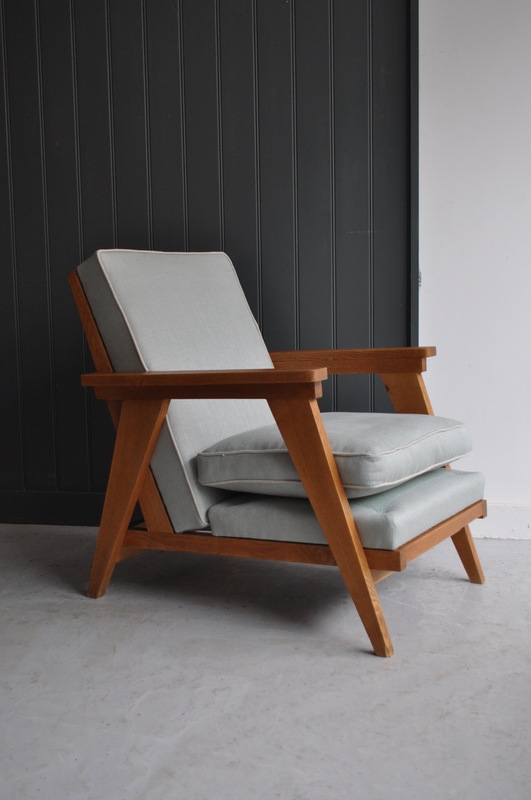 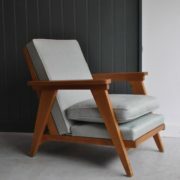 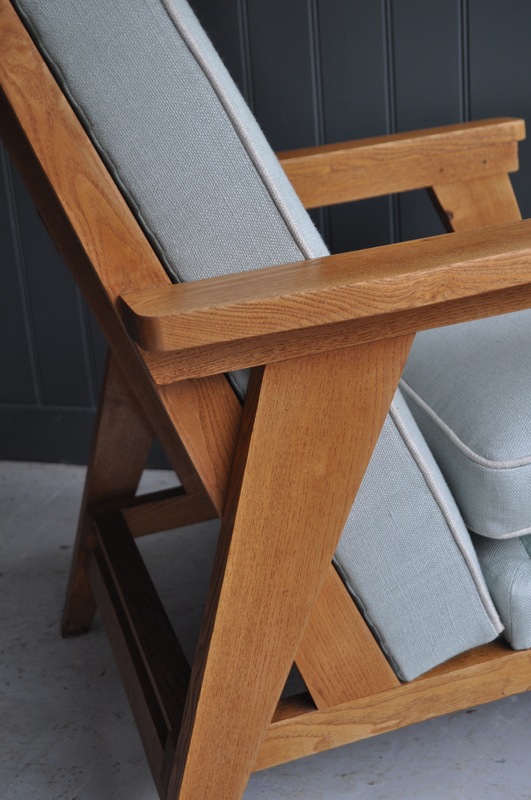 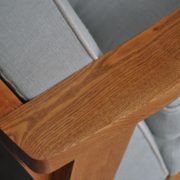 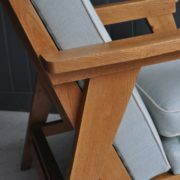 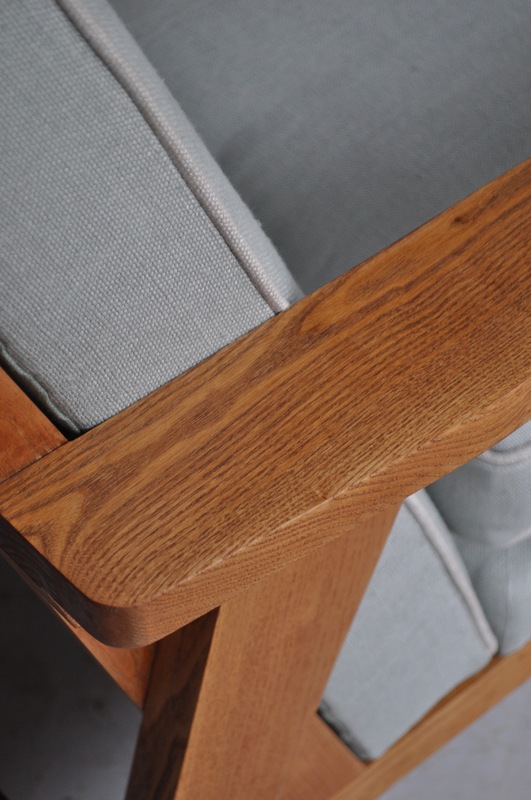 Lovely compact French oak open armchair, with a simple and stylish form. 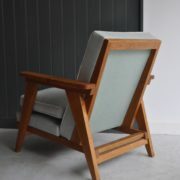 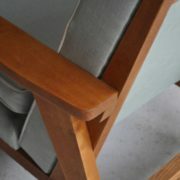 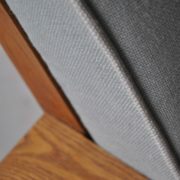 Newly upholstered in a pale ‘sea-spray’ coloured linen with contrasting piping. 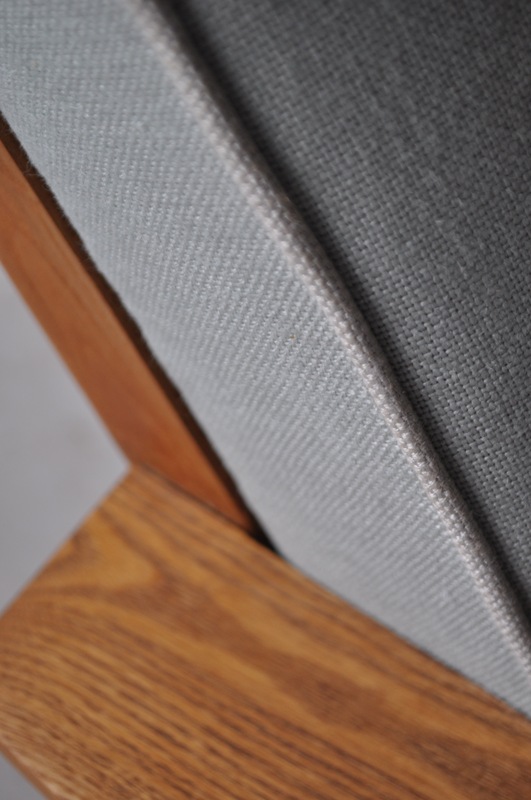 Seat height is approximately 40cm.